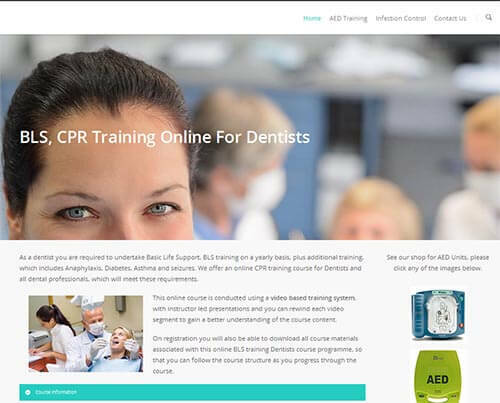 Online BLS Training for Dentists offer training courses online for Dentists, Hygienists, Dental Nurses as individual bookings, or group training for surgeries. Their courses are all CPD certified and are conducted via a video based training system, with instructor led presentations. You can visit their website by following this link: Online BLS Training Dentists.